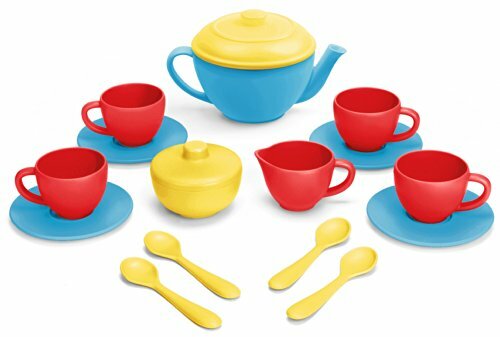 There's nothing like a classic tea party. 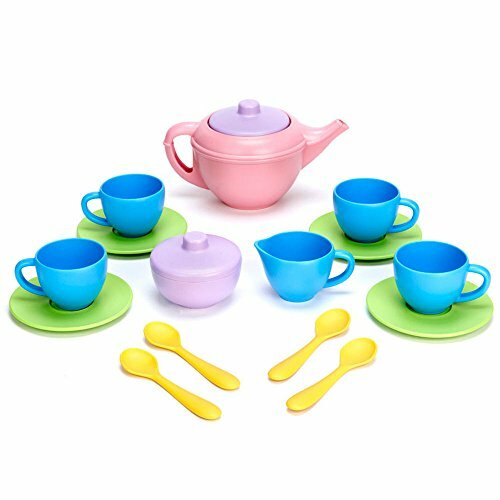 Whether it is with mom and dad, a sibling, or stuffed animals, this Green Toys Tea Set will do the job. Green Toys has made another durable toy made of recycled milk jugs and it is free from BPA, phthalates and lead paint. It is even FDA approved to eat and drink from. This is nice because let's face it, sometimes pretend tea parties include real food. 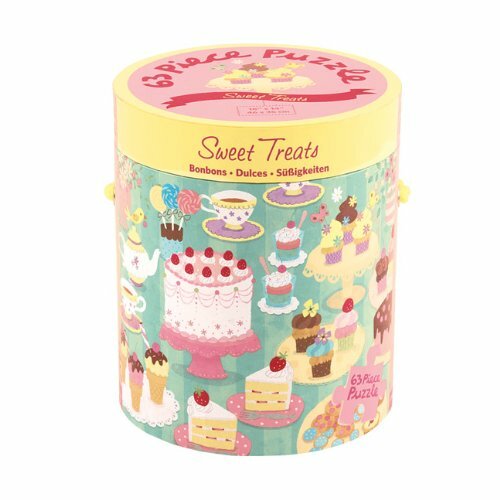 However, if you'd like to include some pretend sweets to serve at this tea party, there are some fun options from Haba. 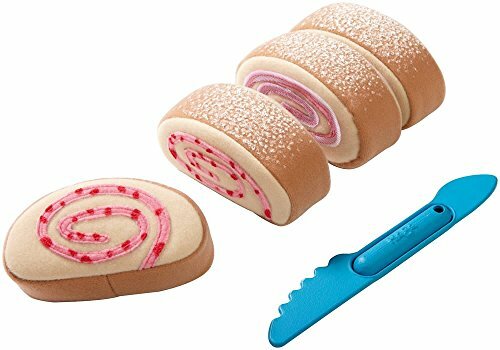 I like the Haba Sponge Roll because it has 4 servings, the same number of settings as the tea set, and it has a play knife that can "cut" it into slices. This is always fun for kids to do. 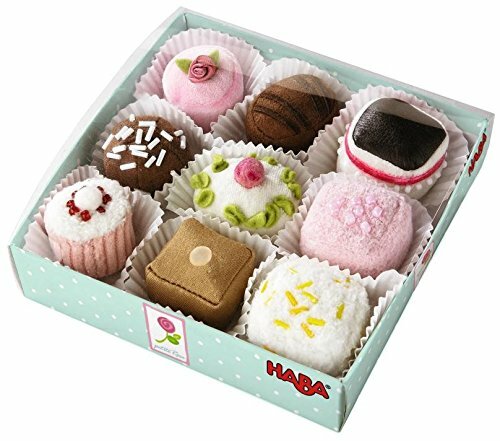 Otherwise, the Haba Soft Petit Fours Set of 9 Dessert Toys is cute. It is recommended for kids ages 3 and older, I'm guessing it is because it has small parts on it. There are some books about tea parties out there, but I'm not familiar with them. 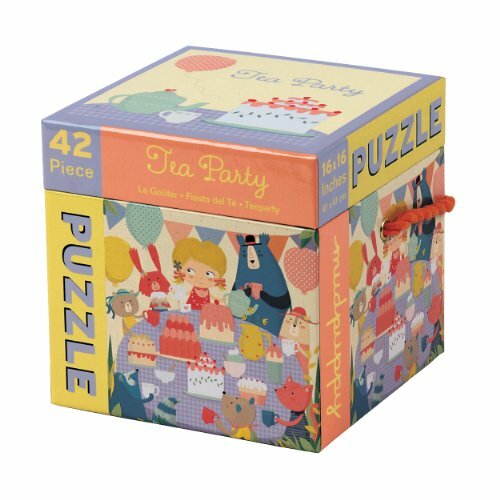 If you're looking for something extra, or instead of the play food for a younger child, Mudpuppy makes several cute tea party themed puzzles to set the stage. And there are various options depending upon the gift recipient's age, I've outlined the recommended ages below to make it easy for you to choose from. 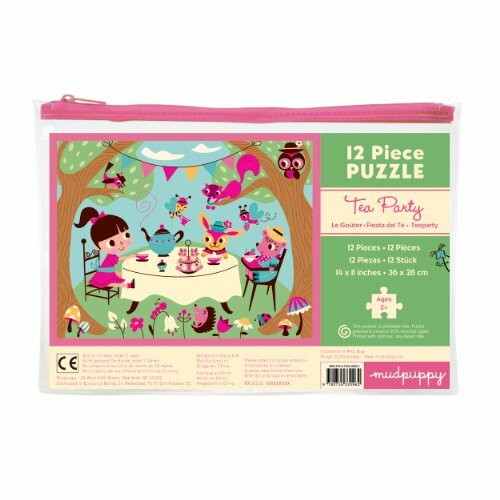 I'd love to hear if you have other recommendations for a good tea party!